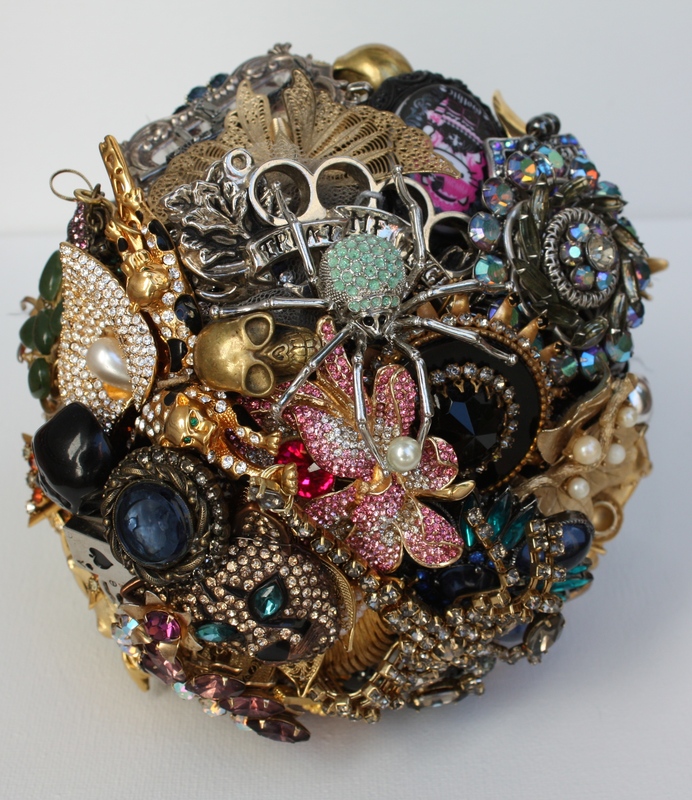 I can not even begin to express how fun this custom Brooch Bouquet was to create! When a bride chooses to do all the hunting of pieces I am often a bit nervous to see what they gather, then comes the challenge to creatively put it together! But oh how I squealed when I opened this brides treasures… seriously, spiders, cougars, scorpions, dice, 30 different skulls and yes, that is a mini brass knuckles behind that spider! I talk about being an out-of-the-box bride quite often, not following the norm, creating opportunities to add your personality and uniqueness, Jamielee did just that! 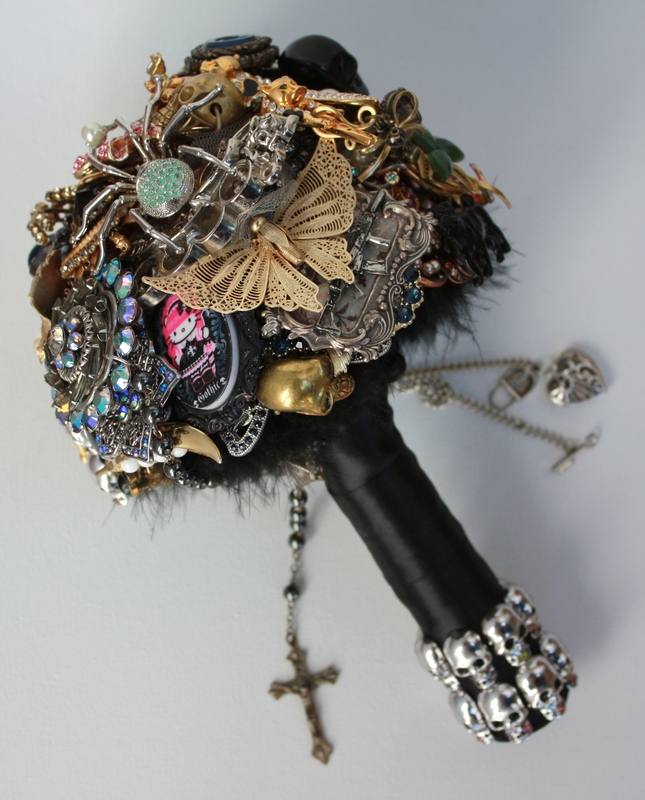 She is an ex roller derby player and her quirkiness is all over this bouquet! What a treasure and dare I say heirloom she now has of her very special day!